Ella Brennan is known for her hospitality and warmth. Well after all she is a southerner. She is Gourmet Game Changer #34. Brennan is the Matriarch of over 11 food establishments across the country. Most notably, the Commanders Palace in New Orleans. She is responsible for the Haute Creole craze of the early seventies. Although Brennan was never a chef, she has great food sense and knows what she likes. She learned the restaurant business starting at about thirteen in her brothers restaurant. This is where she started writing menus, soon she was training waiters and hiring cooks. Paul Prudhomme and Emeril Lagasse both worked for her. Ella Brennan is the winner of many awards, such as the very prestigious James Beard award. I decided to make The Commanders Palace Seafood Jambalaya. You can get the recipe here. I made a few changes. The origional recipe called for oysters. I am not a fan so I used red beans instead. I also used Risoto rice instead of the traditional. It was nice and creamy like a ristoto should be, but it really didnt taste like authentic Jambalaya. The following bloggers are also featuring recipes from Ella Brennan. Please pay them a visit and see what they have to bring to the table. Please join us next week when we feature Delia Smith. Love the idea. 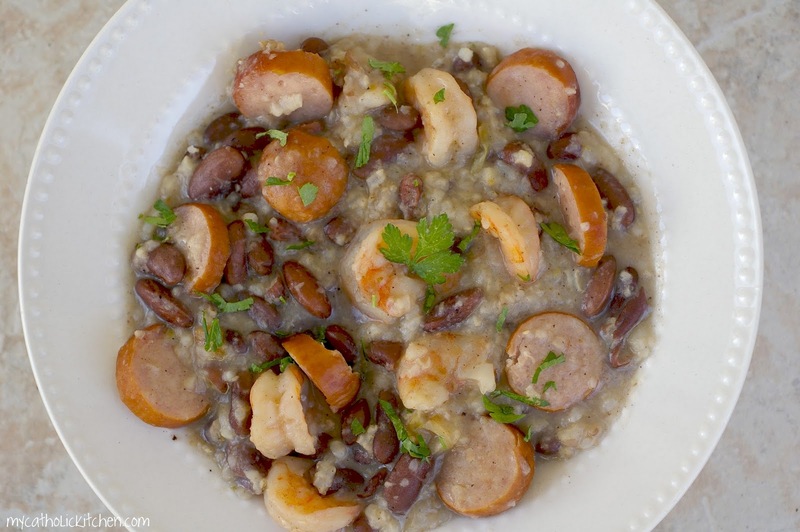 I’d leave out the sausage but use your substitute of beans for the oysters since, like you, they’re not a favorite. You took on the big guns with this recipe. I don’t think I’ve ever made a real jambalaya—it looks like quite a feast. This was a fun and interesting game-changer. Miss Ella is a character. Think you did a great job changing the recipe to your tastes and what you had available in your kitchen. The beans are a great addition! I have been looking for a decent jamabalaya recipe. I might use this one! 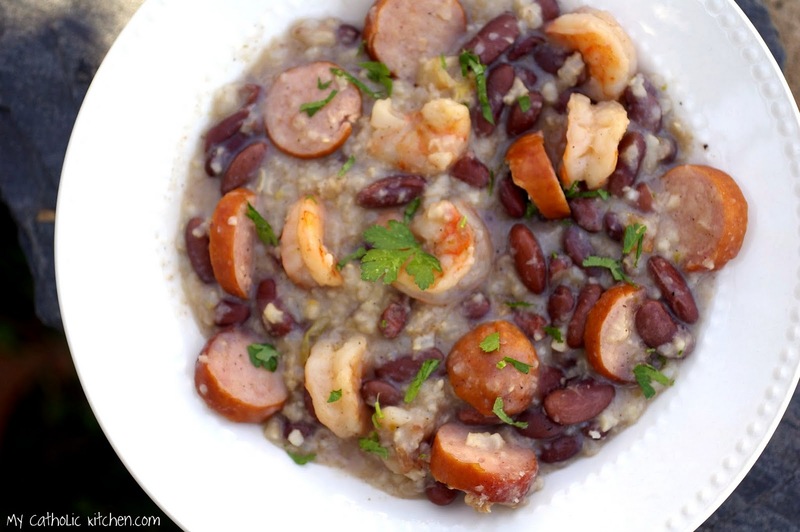 I love jambalaya and the recipe I have is very similar to this, except it doesn’t take the oysters. The best part about jambalaya is there are always leftovers, yay! I love your addition of risotto rice. I bet that is tasty. I am going to try that idea with our next gumbo. 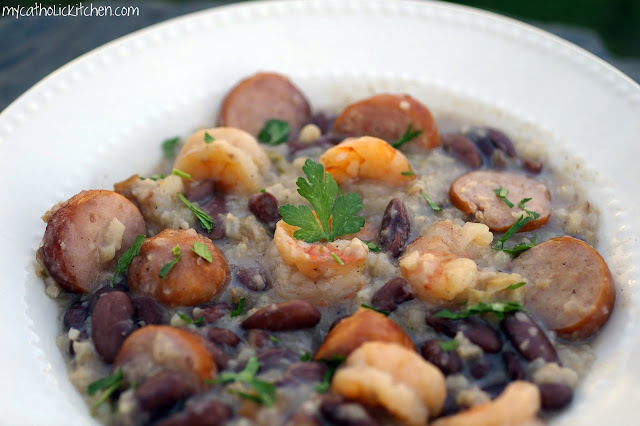 Now I know where to come when I want a seafood jambalaya recipe! Amazing!